This book focuses on women's magazines, on how they are read and the role they play in their readers' lives. 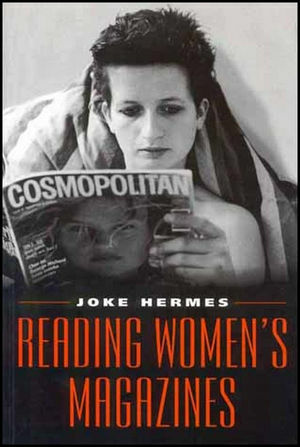 Joke Hermes is a Lecturer in Media Studies at the University of Amsterdam. How Women and Men read Women's Magazines. 3. Portrait of Two Readers. 4. Reading a Feminist Magazine:. Fantasising the Female Homo Universalis. . The Imagined Communities of "Gossip" and "Camp". * This is a study of how people use media products, how they fit into their day-to-day lives etc. This is a very topical theme in media and cultural studies, and the book will certainly find a place on reading lists. * The book focuses on women's magazines, on how they are read and the role they play in their readers' (mainly women's) lives. It covers a broad spectrum from Woman , Woman's Own , and Cosmopolitan to gossip magazines and feminist magazines. * The book is also original and up-to-date theoretically, discussing postmodernism and feminism in relation to current debates in media and cultural studies.